YOU will never hear a member of Coolangatta & Tweed Heads Golf Club complaining. That’s because the members are spoilt for choice with two first-class golf courses on which to play. In addition, they have a clubhouse on three levels plus mezzanine. Situated virtually on the Queensland/NSW border, Coolangatta & Tweed Heads Golf Club offers the best of both worlds – great golfing in one of Australia’s most popular holiday destinations. The club’s entire 101 hectares is a dedicated nature reserve and last year both courses, the River Course and the West Course, were ranked in Australia’s top-100 public access golf courses. All 36 holes offer great golfing challenges – relaxing but testing, gently undulating to flat, wide fairways guarded by groves of well-established trees and plenty of bunkers and water hazards to keep golfers’ minds on their game. A small rainforest in the middle of the River Course is home to an abundance of goannas and bird life, generations of which have happily shared their lush riverside habitat with golfers. A round at Coolangatta & Tweed Heads Golf Club is a fraction of the cost of many Gold Coast courses and is available all year round. The savings made can be used to enjoy some of the other great facilities available at the club. There is a restaurant, bars and entertainment at the club seven-days-a-week. When all the features of Coolangatta & Tweed Heads Golf Club are taken into account – two outstanding courses, reasonable price and unbeatable location – it is easy to see why it is regarded by many as one of the best-optioned courses in the region. To book a round of golf, contact Coolangatta and Tweed Heads Golf Club on (07) 5524-5545. SITUATED on the Far North Coast of NSW, less than an hour’s drive from the Gold Coast is the stunning Ballina Golf Course. Known for its award-winning gardens, which are a visual delight for members and visitors alike, the layout is the “Garden Course” of the Northern Rivers. The popular Ballina destination is an easy-walking, tree-lined course with lush fairways complemented with true and consistent greens that are a pleasure to putt on. The area is fortunate to experience cooling ocean breezes in summer that definitely enhance your golfing experience. Heavily steeped in tradition, the club proudly celebrated its centenary in 2008. From inaugural pro-am winner Greg Norman in 1976 to this year’s champion and course record holder Steven Jones, the Ballina course has hosted many outstanding golfers, including Rodger Davis, Wayne Grady, and Peter Senior just to name a few. The recently renovated modern and air-conditioned clubhouse provides all the usual conveniences for members and visitors including full bar facilities, Keno, a well-appointed gaming lounge and quality Chinese and contemporary meals in the Asian Green Restaurant. Kiosk facilities are also available. Access to Ballina has never been easier with regular flights for interstate and Sydney travellers. And it’s only a short drive from the Gold Coast and Brisbane. Whether it’s for the day, a weekend or even longer, a visit will not disappoint. The Ballina Golf and Sports Club provides an immaculate golf course that presents an enjoyable challenge for all levels of players. The course has been a hidden gem for far too long. LOCATED in a remote seaside setting, Ocean Shores Country Club is one of Australia’s hidden gems. Rated one of the 20 best courses in NSW, Ocean Shores is a test of golf that will challenge all levels of golfers. Designed by Bruce Devlin and Robert von Hagge in 1972, the golf course has some of the largest greens of any golf course in Australia. The golf course has many unique features including enormous greens. The total area of all 18 greens is 13,000 square metres with the fifth green alone taking up 1100 square metres. The 18-hole championship layout comprises six par-3s, six par-4s and six par-5s with the longest stretching to 556 metres. The lush fairways and pristine greens set against a background of bushland and sparkling lakes makes it one of the most spectacular golf courses in Australia. Visitors with a club handicap are welcome to play in club competitions. Players looking for a social game should take advantage of the $49 (per player) mid-week package, which includes 18 holes of golf, hire cart and lunch. In 1980, the Blue Marker Challenge was introduced to challenge golfers and with the course set up for tournament play it was a true test of character. The Blue Marker Challenge continues and is played on the last Friday of every month. If you are up for a challenge, book in for the next “bluey” and if you happen to play to or better your handicap the club will give you a dozen golf balls. Other events include: medley comp every Monday; ladies comp every Tuesday; men’s comp every Wednesday; veterans comp every Thursday ($16); Blue Marker last Friday of each month ($29); men’s and ladies comp every Saturday and Sunday mixed comp every second Sunday ($18). Play-and-stay packages are available through the Pacific Palms Motel. Visitors and social groups are welcome on Saturdays. Ocean Shores is located just north of Brunswick Heads, 30 minutes south of Coolangatta and 15 minutes north of Byron Bay. Chris Graham and his staff handle all golf bookings and enquiries. 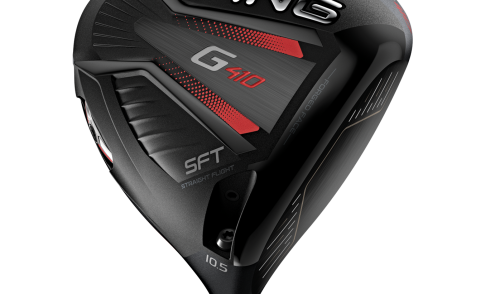 The pro shop has the latest in golfing technology to enhance your game, but if a new club is not the answer then lessons are available. MT WARNING and its neighbouring ranges provide a dramatic backdrop to one of the most popular and challenging 18-hole golf courses in Northern Rivers of NSW – Murwillumbah. Sometimes words like “hidden gem” are overused, but not when it comes to Murwillumbah golf course. Located 90 minutes from Brisbane’s CBD and 20 minutes from Coolangatta Airport, Murwillumbah is popular with professionals and amateurs alike. 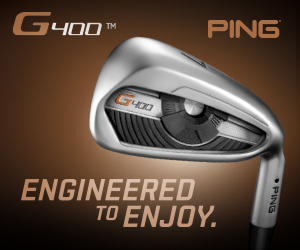 In fact, Scott Gardiner, who will play on the US PGA Tour in 2013, once held the course record there. The par-71 championship course is one of the most challenging and aesthetically pleasing golf courses in the area and rates up there with the typical Gold Coast courses, but at half the price. Both membership and green fees are affordable for social, average or elite golfers. Green fees for visitors start at $25 and full membership is just $688.45 with no joining fee. The golf club has opened a coaching facility, which is run by AAA-rated PGA professional Graeme Trew. The facility includes an undercover hitting area, pay-for-ball service and specialised coaching from Trew. The golf club recently upgraded and increased the number of carts to 25, which makes it an attractive venue for social clubs and groups at affordable prices. Murwillumbah Golf Club also runs a Back Marker Challenge for golfers who love a challenge. The golf course is ideal for those who want to test their skills, particularly as the course is set up off the back plates with tight pins. Of course, there are some great prizes up for grabs. The golf club welcomes guests and visitors. 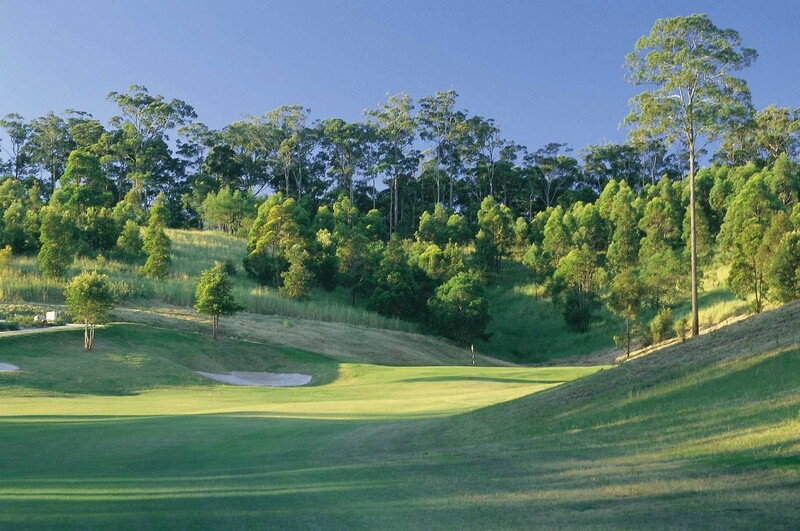 THE Byron Bay Golf Club offers great value with green fees starting from as low as $45. The club says the chances of finding a better bargain for golf in the region are remote. The course is located near the ocean and the sound and smell of the surf is never far away on any hole. The layout offers some subtle and severe elevation changes, a great mix of medium to long par-3s and beautifully manicured Bermuda fairways and greens set among tall gum trees. The par-3 holes are outstanding, starting with the short downhill third with a green guarded by two pot bunkers, one with a set of stairs leading into it. Often you will spot a rare red wallaby grazing near the hole. The 155m 14th hole is one of the recent redesigned greens and is a beauty. The green runs diagonally from left to right and is surrounded by swales, bunkers and Dune grasses, which make it both an attractive hole and a difficult target. The 318m par-4 sixth is a severe, semi-blind dogleg to the left. It’s a sporty hole where tee shots need to be hit to the end of the fairway to get a clear view of the green past the hillside on the corner of the dogleg. The view from the elevated tee on the next hole is exhilarating and entices golfers to take out the driver to get some “hang time” to hit the snaking, wide fairway. The 485m par-5 18th is another of the redesigned holes. It starts with a wide fairway before some decision-making is required to set up the best angle of attack. Avoid the fairway bunker 100m short of the green by laying up down the left or attack and carry the bunker to get close to the putting surface. The green is set against the side of a hill surrounded by grass, sand bunkers and swales and is a good finishing hole. The club boasts a popular restaurant offering spectacular views across the golf course and to the lighthouse. The golf club is located approximately 5kms south of the CBD on Broken Head Road. JUST 10 minutes from the Coffs Harbour Airport, Bonville Golf Resort is nestled at the foot of the Great Dividing Range on the beautiful Coffs Coast. Voted “Australia’s Leading Golf Resort” in 2006, 2011 and 2012 by the World Travel Awards, the par-72 championship golf course rises and dips through the serene and beautiful layout with each fairway private from the next. Bonville’s restaurant The Flooded Gums has been awarded 1 “Chef’s Hat” in the 2013 Sydney Morning Herald Good Food Guide, making Australia’s first and only golf course/golf resort to be awarded a highly regarded and sought after “Hat”. The golf course, which has that Augusta National look about it, has impeccably manicured fairways and greens set against a breathtaking backdrop of colour and tall timber. The golf course boasts magnificent tall flooded gums while Augusta has pines. The 470m par-5 seventh hole is a definite birdie opportunity while the 404m par-4 12th is arguably the toughest hole on the course. Almost every hole has that wow-factor, but the second, fourth and 15th are feature holes. The golf course has that intimate charm that gives the feeling you have the place to yourself. There are virtually no parallel holes and although there are other groups out there, you hardly ever see them. Accommodation is on-site and all of the recently refurbished rooms enhance their modern conveniences further enabling guests to relax and unwind taking in the beautiful surrounds. Recreational facilities include three-floodlit tennis courts, 30-metre rock lap pool and rainforest walks. Once guests have experienced the beauty and allure of Bonville Golf Resort they usually want to return. Bonville runs many in-house golf events including four-day pairs’ events, single day events and events specifically designed for women each year. THERE aren’t too many golf courses where koalas can hold up play. Well, it’s a regular occurrence at Emerald Downs Golf Course – Port Macquarie’s newest golf course just minutes from the CBD. The privately-owned public course is exclusively open for social play and welcomes locals, visitors and social clubs. The 18-hole par-70 course, which stretches to 5181m for men and 4563m for women, is nestled in the midst of the exclusive Emerald Downs Residential Estate. It’s a quiet, secluded parkland-style course where golfers play alongside abundant native wildlife including koalas. Emerald Downs is an easy walking course with a good mix of par-3s, 4s and 5s. The par-3s are glorious, especially the 170m 18th, which requires a solid tee shot over one of the massive lakes to a slightly raised green. As one of the signature holes on the course, it can destroy a scorecard. Featuring a mix of picturesque scenery, most of the holes are straight and wide so it’s relatively safe to use driver. A few of the doglegs – notably the par-5 fifth – will require careful club selection and course management if you want any hope of par. Emerald Downs offers more than just a game of golf. The clubhouse commands sweeping views of the fairways. Other benefits include electric golf carts, a large range of golf equipment, hire equipment and free BBQ facilities for social golfing groups. It’s the perfect place to sit and unwind after a challenging round. Emerald Downs Golf Course is a favourite with visiting international and touring golfing enthusiasts. That’s because of its diverse degrees of difficulty. Emerald Downs guarantees fantastic photographic opportunities and the chance to get up close to the resident wildlife. Of course, the “Augusta-style” rock bridge has become a feature for wedding photographers. The 18-hole golf course offers a wonderful experience with enough golf variety to entice you back again … and again. LOCATED 20 minutes south of Coffs Harbour rests the seaside village of Urunga, which boasts a charming old-world feeling, anonymous to the commercialism witnessed along the north coast of New South Wales. Incredibly, the village centre is only a five-minute drive from the Pacific Highway turnoff. Many people have suggested a feeling of entering a time warp, such is the tranquillity associated with the town. Nestled alongside the Kalang River at Urunga, lies a picturesque nine-hole layout, which caters for all levels of golfers. While the original site retained a banana crop, the golf course’s condition offers good lies and playability from start to finish. The signature ninth hole at C.ex Urunga, known as “The Hill”, is a challenging 120m par-3 straight uphill with out-of-bounds a real threat for a mis-hit shot. This hole proves difficult golf holes don’t need to rely on length alone. The 5433m course (par-70 for men and par-72 women) offers a variety of challenges including water hazards, doglegs and different tee locations when playing 18 holes. Available for social play throughout the week, the club offers a daylight saving discount rate every afternoon from 3pm. Urunga Golf Club offers great value to social golfers by offering a complementary snack or beverage for group bookings or those who play as a four. After the round, head for the clubhouse and experience what is arguably the most serenely spectacular outlook of any golf club in Australia. The uninterrupted view over the mouths of the Kalang and Bellinger Rivers entering the Pacific Ocean are magnificent. Visitors are also welcome to enjoy the club’s other facilities including croquet lawns, tennis courts and squash courts. Lui’s Restaurant serves a wide selection of Asian and Australian cuisine and is the perfect place for a leisurely lunch while enjoying panoramic views. C.ex Urunga Golf Club may be the smallest club among the C.ex group of clubs, but the locals strongly suggest it’s the jewel of the C.ex crown. WAUCHOPE Country Club is the home of golf and bowls in the Hastings area. Started in 1926, the club is situated in the centre of the busy hinterland township 20 minutes’ drive from the thriving coastal tourist destination of Port Macquarie. One of the nice things about the club is you can sit back in comfort and watch the golfers in action while enjoying refreshments. The club also offers dining from its tasty menu selections. The dining and bar facilities are open seven-days-a-week in the newly-renovated modern clubhouse. “So many of our guests comment on the high standard of our golf course,” a club spokesperson said. In 1988, the clubhouse almost burnt to the ground, but since then there have been many transformations. Rebuilt in 1989, the club has gone ahead in leaps and bounds with membership more than doubling to 900 members. “We have a distinct reputation as being a friendly club,” the spokesperson said. “Our picturesque 18-hole golf course has some of the best greens in the state. 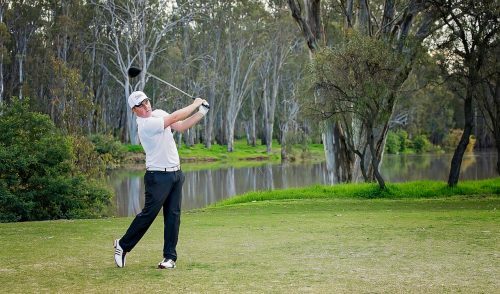 “We are home to the NSW PGA 36-hole BDM and Wauchope Real Estate Pro-Am. “We also have the privilege of retaining the services of our professional Clark Joyce and Jason Taylor who manage the On-Course, fully stocked pro shop. “Both professionals are fully qualified fitting specialists, who can correctly fit your next set of clubs to suit your game. Currently, the club is offering six and 12-monthly memberships. There is no joining fee. OVER the past 18 months, the Camden Haven Golf Club has been undergoing a facelift and by all accounts members, guests and visitors are thrilled with the results. “From the moment you drive through the new entrance, you start to realise that the aim of the club’s governing body is to provide a great recreational facility for patrons to enjoy,” said Laurieton United Services Club (LUSC) general manager Robert Dwyer, who also manages the golf club. Two new all-weather synthetic bowling greens have been added to the facility, which boasts a quality 18-hole golf course stretching to 5700m. “There’s been a massive continuous improvement program, with new works being done almost every week following the amalgamation of the two clubs,” Dwyer added. The club’s excellent staff and many volunteers supported the services club’s huge investment in the property. In order to improve the club’s marketing opportunities members recently approved changing the club’s name from Camden Haven Golf Club to Kew Country Club. Located 30 minutes south of Port Macquarie and 40 minutes north of Taree, the clubhouse at Kew is only 80m from the Pacific Highway. “If you are visiting the Mid-North Coast and are playing in the Port/Taree/ Wauchope area, this course is a hidden treasure not to be missed,” Dwyer said. “From the time we took over the golf club, we have taken the view that we wanted to make sure the golf club, with its three bowling greens, would be one of the premier sporting and community facilities on the Mid-North Coast. The upgrades and improvements include seven new tee blocks, landscaping to most tees and fairways, drainage and water management with over 150 metres of major drainage pipe installed and over 700 metres of aggie pipe lines, cart paths, practice and warm-up facilities (nets and short-game area). Improvements to the driving range are on the drawing board. Dwyer said the clubhouse improvements include a new bar, TAB, equipment and members’ facilities. It costs $375 to be a member of the club with pay by the month options. There is no joining fee. 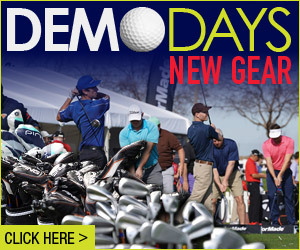 Beginner golfers will benefit from a membership drive and open group lessons. 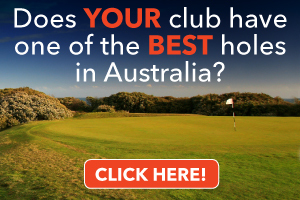 IN the heart of Hastings is the region’s oldest and most highly regarded golf course – Port Macquarie Golf Club. Boasting more than 100 years of proud history, this beautiful championship golf course features a variety of magnificent golf holes that combine to provide a memorable golfing experience for players at all levels. The course meanders through rainforests, wetlands and sand dunes and is easy walking on all but the hottest Port Macquarie days. The greens are fast and true and the fairways are some of the best around, boasting lush, carpet-like grass that is consistently high quality and a pleasure to hit off. There are some rewards on offer for those willing to take a risk. But be warned, there are plenty of challenging bunkers around the greens and the occasional fairway bunker to punish the wayward golfer. And when you do drop in for a round of golf make sure you say g’day to the club’s professional Ben Hamilton. He can attend to all your needs and may even provide a tip on how to handle the tricky second hole. After the round, enjoy the extensive modern clubhouse facilities, beautiful views and perhaps a delicious meal at Aspire Restaurant. The Dorrigo Memorial RSL Golf Course, arguably the finest nine-hole course on the Mid North Coast, is one of those layouts golfers want to play again … and again. One of the reasons for this is that greenkeeper Warren Atkins keeps the course in excellent condition. Nestled beside the Bielsdown River, Dorrigo is a challenging layout with nine bent grass greens and 18 different tee positions. The course is open for competitions every Saturday from 9am while the veterans play their competition every Thursday from 8.30am. Both competitions are mixed and juniors and beginners are encouraged to take part. Catering for social groups is the club’s specialty. It costs $25 per person to play 18 holes and feast on a delicious local T-bone steak and salad lunch. Bar facilities are available. “We guarantee your social group will have an excellent experience,” a club spokesperson said. Social green fees for visitors are $12 for nine holes or $17 for 18 holes. Members and reciprocal clubs pay just $7 for nine or 18 holes. Limited cart hire is available and carts can be booked by phoning (02) 6657-2294. The par-4 third hole (12th on the back nine) is a challenging, dogleg right, but when it’s played as the 12th it’s a straight-forward short hole. It’s uphill all the way and golfers must not go left or long to avoid going out-of-bounds. The fifth (14th on the back) is Dorrigo’s signature hole. The Bielsdown River meanders the length of the fairway and the green is situated on a narrow peninsula within a loop of the river. Miss the green and it’s a tough up-and-down. LOCATED on the sub-tropical holiday coast, mid-way between Brisbane and Sydney, is the uniquely scenic Nambucca Heads Island Golf Club. Surrounded by water, golfers will experience an exhilarating round of golf with the chance of seeing passing dolphins. The birdlife is also a feature as pelicans, sea eagles and osprey soar overhead. In the early-1990s, the golf course expanded to 18 holes and since then it’s gone from strength-to-strength. It’s a flat, well-bunkered course with undulating greens but it’s the tightness of the layout that will test golfers of all abilities. The challenging 389m par-4 16th hole is a great hole with out-of-bounds along the entire length of the left side of the fairway and some hazards down the right. If you do mess up on this hole, you can make amends at the 124m par-3 18th – the easiest hole on the course. Locals say if you can play to your handicap at Nambucca Heads Island golf course, you’ll be doing well. Rivers Family Restaurant is the ideal venue for family, social or other gatherings. Nambucca Heads Island Golf Club has a fully-stocked pro shop that offers some extremely attractive deals. One of the highlights each year is the Golfest Week of Golf where golfers have the chance to collect $10,000 for a hole-in-one. YOU never know what good fortune will befall you when you visit Forster Tuncurry Golf Club in the Great Lakes area on New South Wales’ Mid North Coast. One man who knows all too well is Charlestown Golf Club’s Brett Meeks. The Novocastrian was visiting the club and drove away in a brand-new Toyota Yaris courtesy of a hole-in-one on the Tuncurry golf course. Playing in the inaugural Beach Bums Cafe Great Lakes Spring Classic Golf Tournament, Meeks, who plays off six, aced the challenging 162-metre fourth hole using his trusty 4-iron. According to witnesses, his perfectly struck shot “never looked like missing” as the ball hit the green on the fly, took one bounce, hit the flagstick and dropped into the cup. It was his first hole-in-one. Twin Towns Toyota sponsorship manager Terry McCartney presented him with the $19,000 Toyota Yaris. Forster Tuncurry Golf Club president Doug Holmes said the tournament was a great success with more than 200 local and visiting golfers competing in the two-day event. Forster Tuncurry Golf Club, three hours north of Sydney, offers golfers two golf courses – the Tuncurry course and the Forster course. The Tuncurry course is virtually an all-weather course as it has a sand base and easily absorbs any rain that falls. The Forster course is one of the friendliest seaside courses on the north coast. It’s not overly long and that’s why it attracts plenty of social golfers who enjoy its generous fairways and forgiving rough. But don’t be fooled by the course’s short par-4s. Smaller greens, the sea breeze, bunkers and water hazards have ruined many a good round. Competitions are played seven-days-a-week and visitors are welcome to join in the fun or play socially when available. After a round, golfers can relax with a drink while gazing out over the Pacific Ocean. Stay-and-play packages are also available. 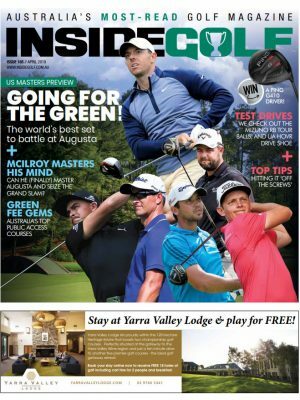 LESS than a three-hour drive from Sydney, you’ll come across the magnificent Tallwoods Village and Championship Golf Course. And less than 50kms from there you’ll discover another idyllic golf course – Harrington Waters. Both these magnificent facilities come under the same management team. 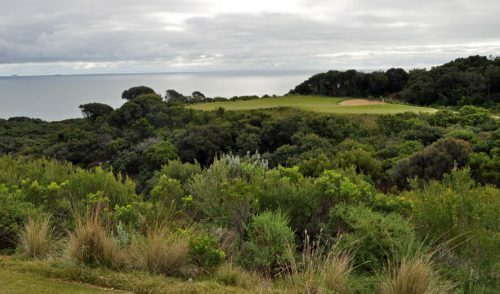 Designed by American Michael Hurdzan, named Golf Architect of the Year by the USGA in 1997, Tallwoods offers spectacular panoramic views of the Pacific Ocean, the beaches to Forster and the tall timbered hinterland. Hurdzan’s philosophy is to design golf courses that stir the spirit, exceed expectations and defy understanding. “We want people to play our courses and discover pleasure, whether it is a closeness to nature, certain serenity or an exhilarating challenge,” he once said. That’s what you get at Tallwoods. Meanwhile, Harrington Waters Golf Course is a wonderfully designed nine-hole golf course made by using the natural waters and lakes, with a variety of tee placements that ensure each game is different and challenging. When played twice, the course adds up to a tough but fair par 72. Open to the public, Harrington Waters offers a variety of competitions for members and guests. Naturally, the course is open for social play seven-days-a-week. The club conducts an open competition every Wednesday and Saturday and welcomes all affiliated club golfers. The competition is open to both men and women. Social play is available each day after our competitions have finished. The Cafe & Clubhouse, open most days, also offers a full hot and cold buffet breakfast every weekend.